Welcome! Are you a teacher or parent looking for second grade riddles? You've come to the perfect place, all of the second grade riddles we offer here are free to use and share, but please get permission before republishing any content found here. For your student or child, if they have access to solve the riddles directly from this site it's the best option, you can have them use the hints provided with the questions as well as read the informational facts provided. All of the riddles found here also include 30 second timers which automatically stop after the 'show answer' button is clicked. The answer will display your time but only if the timer has been started. There's also an option to reset after the timer after the 30 seconds is up. 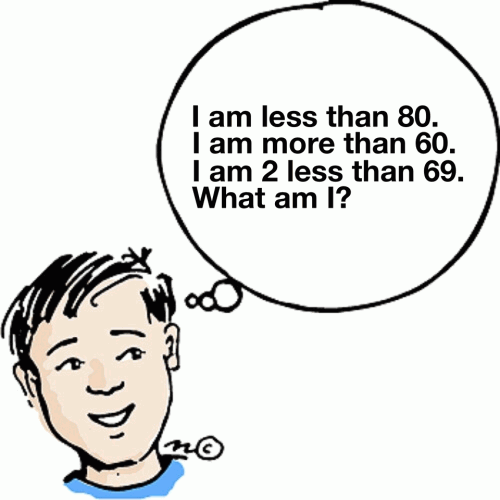 We've also included second math riddles to solve as well. Good luck solving and have fun! Why was the tree excited about the future? It was ready to turn over a new leaf. Why was the metal wire so upset? It was getting all bent out of shape over nothing. Why did the cookie complain about being sick? I am a _ _ _ _ _ _ _ _ _? Why did the lay toss her butter out the window? She wanted to see a butterfly. How does a piano get out of jail? Where you would go to borrow books? Why are pianists fingers like lightning? They rarely strike the same place twice. I am a thing, when I look at him , he looks at us!! who am I? Can you come up with a cool, funny or clever 2nd Grade Riddles of your own? Post it below (without the answer) to see if you can stump our users.